Or better still...is it March yet?? Gah, I'm getting soooo anxious to start on my mission papers!!! Six months from today, I might be in the MTC!!! And I've got almost 3 whole months saved up, woohoo!! Only 15...more...to...go...I can do it, think those positive thoughts!! Anywho, I think I'm officially the worst blogger ever. To be honest, I've decided to go the more traditional route and have been writing in my old-fashioned journal the last few weeks. But I'm back, and I'll try to do a better job at posting on this thing! Christmas was amazing this year!! This is my favorite time of the year. Everything about it makes me so happy!! It was especially fun this year, because someone (we have no idea who!) did the 12 days of Christmas for our family!! On the first night, the bell rang, and when we went to answer the door, no one was there, but a honey ham and a golf tee were sitting on our doormat! Every night leading up to Christmas Day, we found a new surprise from our "true friends!" Some of the other surprises included two bells, five cinnamon rolls (yummy! ), six scented candles, eight cups of eggnog, and a CD of 10 Christmas carols! And on Christmas Eve, we found a musical Christmas nativity and "a lot of love for my family!" Our "true friends" added a whole lot of fun and joy to our Christmas this year!! Most of all, I'm grateful for the best Christmas gift of all, the gift of my Savior!! And this is what the season is all about! So I'm pretty much bursting with joy and happiness right now...Mom just finished her first lesson with the sister missionaries!! It was soooo great! Sister Allan and Sister Prince are the sweetest!! We read a couple of scriptures, and they talked about the Book of Mormon and Joseph Smith. The Spirit was so strong, it was amazing! 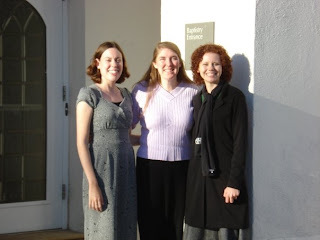 :) The sisters must've thought the lesson was going well, too, because they asked my mom if she wants to be baptized! She said not yet, but we're going to try the family ward next Sunday! I'm sooo excited! Anywho, I know I haven't posted in forever...sorry!! It's been a little crazy the last few weeks, and Christmas is right around the corner! I lovelovelove Christmas...everything about it gives me those lovely warm 'n' fuzzies. It's my birthday...kinda sorta. :) It feels like it is, at least! November 15, 2008...that's the day I was baptized a member of The Church of Jesus Christ of Latter-day Saints. I cannot believe it's already been a whole year!! I've been looking forward to this day for a long time, as it shows me that this is something I can do. It definitely isn't always easy, but I'm trying my hardest to do the right things and to keep my hold on the iron rod. I still feel like a baby in the Church, though...there is sooo much to learn, and I feel like I should know so much more! But I guess that just gets me more motivated to study and learn as much as I can. I love my Savior. I'm eternally grateful for His example and for everything He's done for me. I'm so thankful for the opportunity I have to be perfected through Him each day. Hopefully we'll start seeing more red soon!! Madison goes into the MTC TODAY!!!!!! I can't believe it!!! Her farewell talk was on Sunday, but I didn't get to make it. :'( I was going to meet some friends at the institute that morning and carpool over to Avondale with them. I almost made it to the 'tute, but as I got closer to ASU, I started seeing some orange cones. Ok, construction, no biggie...but then, I started seeing bikers. Lots and lots of bikers. It was a triathlon, and it was pretty much impossible to get onto the campus. I was soooo bummed and pretty much cried all the way back home. But I called Madi on Monday and we got to talk for a bit, yay! She sounded sooo happy and excited!! Madison is one of the strongest people I've ever met, and she is going to be such a great missionary. I'm sooo grateful that Heavenly Father allowed our paths to cross again! I know the Texans are going to fall in love with her, and she'll love them right back. In other news...I just got back from an interview with Barnes & Noble. It went good; we'll see if I get a call back. Keep your fingers crossed, please! I got to see all of my wonderful friends at 5th Ward yesterday morning!! It was so great to see everyone again! But boy, has that ward changed a lot! It's huuuge!! The Relief Society fills up the chapel, haha! I also went to my new ward in the afternoon, and I came home happy! :) Yay! I'm starting to feel a little more comfortable there, and I'm seeing more and more familiar faces each week. 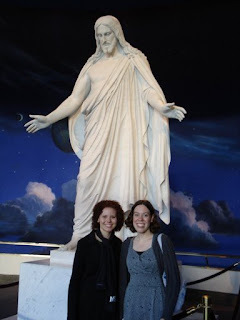 The talks were really great, too; one gal who spoke had just returned home after serving a mission in Nauvoo, so she shared some of her experiences from that, and Brother Calton, one of my favorite institute teachers, talked about General Conference. And that reminds me, I never wrote a post with my thoughts on the last Conference! Oops! So in a nutshell, it was A-MAY-Zinnng. As always. :) One thing I especially noticed, though, that I don't remember doing a whole lot in previous conferences, is that I laughed a lot from things the speakers said. I hope that doesn't sound bad, I had my serious moments, too, haha! I just found myself laughing a lot more with the speakers...maybe I'm understanding Mormon humor better?? Anywho, it was kinda fun to be feeling the Spirit so strongly, but also to have some of those lighter moments, as well. I will write some more thoughts on Conference in my next post, but I've gotta run now...love you all and hope you're doing fabulously!! Woohoo, I've made it to 11 months!! I can't believe it's been almost a whole year since my baptism...crazy! I like making lists; it makes me feel very accomplished when I can check something off as done. :) Sooo here are some goals I hope to accomplish over the next few weeks up until my favorite day on the calendar. Go to the temple at least once a week. Attending the temple regularly is something I need to work on. I love the temple, but I guess I just find myself "too busy" to go, or "too this" or "too that" or whatever. By the way, most Americans think that "whatever" is the most annoying word to ever be put in our vocabulary. What do you think? Kind of a funny story, I was getting ready to go to the temple one night, after having been maybe a week or so before, and my mom asked what I'd be doing there. I told her I was going to do baptisms, and she went, "a-GAIN???" (I don't know if she said it that loud, but it sounded pretty loud to me, haha.) 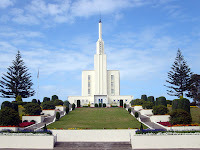 I really do love the temple, and I want to make it a part of my life...I don't want it to seem like a big deal or an event whenever I go, I just want to go. Get the nerve up to ask my mom if she wants to talk to the missionaries. We'd talked a little bit about the possibility before the move, and she said "maybe." I wonder if that's another one of the most annoying words...it's not yes but it's not no, it's just in between. Speak up more in Sunday School and RS. Make a major decision about my mission. This may or may not be accomplished by November 15....we'll see. The major decision being when to put in my papers. My savings account is looking pretty sad right now, so I'm thinking I won't have the $10,000 I'll need by March...or April...or May...or June (I don't know when exactly I would have to have the money...but you get the idea). So I may go ahead and just wait until closer to my 22nd birthday...my parents would be a lot happier, and it would give me a little more time to prepare myself. Again, we'll see. I love you all, and I'm so grateful for my friends. I hope y'all know how much I appreciate each of you. P.S. I have a job interview tomorrow; please pray for me!! P.S.S. The title has nothing to do with this post. It's been a weird few days and I just have Michael Buble going through my head. What do you do when one of your friends is having a hard time and all you can do is sit on the sidelines, even though you want to step in and help? What do you do if that same friend is the one who introduced you to the Church and the gospel, and it's looking like we're finally going our separate ways? I'm relying on my testimony of the gospel now more than ever to get me through this. After all, the people who show you the way are important, but it's the message that really counts. And I know that I have a Friend in Christ, and He will always be there. He lives, my kind, wise heav'nly Friend. On Saturday, October 10, my family had to make the hard decision to put one of our babies to sleep. We all knew it was time. Mom and I didn't go to the vet, but Dad was with her till the end. 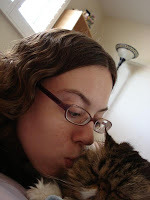 Sam was as much a part of our family as any one of us, just like our other 3 kitties. We loved her to pieces, and she will always have a special place in our hearts. She was with us for a good long 15 years; we got her as a kitten in Jacksonville. The hardest part is waking up in the morning. I don't remember for a bit, and then it hits me. And the tears come. I try to keep my crying time to when I am alone, so that Mom doesn't have to see. She was especially attached to her. So late last night or early this morning (I couldn't tell--I was asleep), I was having a dream. Not of California or sugarplums. But of my mission call. I had the envelope in my hands, and my family and I were sitting in the living room. I slowly pulled out the letter, and read aloud, "You are assigned to labor in the...Chile Earl Grey Mission." Maybe I went to bed hungry last night?? And then I realized that I still have five more months to the day before I can turn in my papers. Ok, so I really need to do a better job at posting on this thing...I have been busybusy!! Where to start? It turns out that since I don't go to ASU anymore, I can no longer go to 5th Ward. :( :( So sad!! So I'm now in plain University Ward (without the "5th"). I went there for the first time this past Sunday. It's...interesting. Most of the people are in their mid- to late-20s, and they're a lot more focused on dating/marriage. I heard the words "kissing games at FHE" in Sacrament Meeting...yuppers. Hopefully no cute boy proposes between now and the time I go on my mission, with or without kissing games. I'm going to stick with it, though, and give it a chance. I think this is just the awkward phase right now, as 5th Ward is all I've known. I definitely miss it like crazy!! So, what else...work. I finished training, and now I'm on the floor, working with students. Or, I would be if I wasn't sick. I hate to say it, but I'm honestly trying to decide whether or not I want to stick with it...hardest.decision.of.my.life!!! I've discovered for myself why a call center gets a bad rep...I'm stressed all the time, and I know this is what's making me sick. I just hate the idea of quitting...I haven't even been there a month yet. And the idea of job hunting again...yikes. I had to leave work early yesterday afternoon, I was feeling so bad. But on the way home, I was able to drive by the temple, so I decided to walk on the grounds for a bit. Unfortuantely, I didn't have my temple recommend, but just being there, not even going inside, made the biggest difference in my day. I'm so thankful that Heavenly Father knows what I'm going through, and I know that my Savior is walking right there beside me, every step of the way, and I know that whatever happens, it will all work out for good. So I survived my first week of training for my new job...yay! It's been one fun.crazy.overwhelming.fast-paced.information-packed week. I feel like my head is about to explode, and I have academic policies and COE--aka College of Education...gotta learn those acronyms!--policies on the brain. It takes me an hour to get to work in the morning, and almost an hour and 20 minutes to get home. I'm pretty much dead at night...I eat dinner and then jump in bed. What little night owl-ness I had in me is gone. Lammme-oh. But I love GCU...the people are so sweet and it seems like a great place to be! 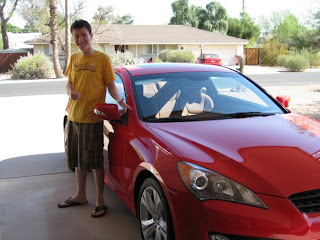 Chris bought his first car last night. 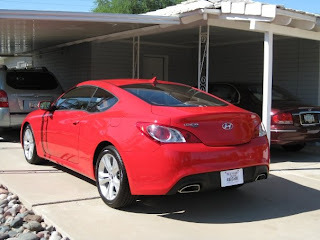 A 2010 Tsukuba Red Hyundai Genesis Coupe 3.8 Grand Touring. Try saying that five times fast! So I start training for my new job exactly one week from today. Woohoo!! I am waywayway excited!!! It's funny, I'd actually wanted to go to school at GCU, but it's a private, Christian school and the tuition didn't look as pocketbook-friendly as ASU's. I never would've thought I'd still get to go there, albeit not in the way I'd thought, haha. One thing that has me excited is that I'll be able to get 100% tuition covered if I take classes at GCU!! I'm looking at their Master's of Science in Leadership. Decisions, decisions...we'll see what happens! I will admit, though, even though I'm still super excited about my new job, the jitters are starting to do a dance in my stomach. I worry about the silliest things, too. Probably the biggest thing that has me nervous, though, is the fact that I'm going to be driving from Mesa (newsflash! we're moving on August 31. the same day i start training. perfect timing, lol.) to 24th Ave. and Peoria. As I said in the previous post, I just got my license on Friday. I've only driven on the freeway twice, in light traffic, so I'm sure I'll be saying my prayers the whole time I'm on the road (with my eyes open of course, haha). If you want to say some prayers for me, too, I'd really appreciate it! I'm sure I'll need all the protection I can get! I now have my driver's license! Finally! Yes, I know I'm four years late...but my family didn't think Chris and I needed to be driving when we were 16, and Chris ended up getting his license first. So until now, I haven't really needed to drive. And to be honest, I was scared to drive. Too many people try too many crazy stunts while driving...texting, putting on make-up, flossing (totally serious...I saw someone flossing on the freeway a few weeks ago). And it's not just the other drivers...I wanted to make sure I feel responsible enough for others' lives whenever I get behind the wheel. So now, here I am, four years late but starting to feel a little more confident on the road. Kind of a funny story, although I didn't think it was too funny at the time...I went last Friday morning to the MVD in Tempe. I felt good and ready for the test, so I wasn't too nervous. I guess I went to the European-style MVD, though. First, the guy who would be with me for the test was Russian. I couldn't understand him when he was telling me where to drive the car for the test, so I kinda had to wing it based on the little bit that I did understand (luckily, I ended up at the right spot). The first thing I had to do for the test was the parallel parking...with the cones on the left side of the car. Of course, I'd only been practicing the normal parallel parking, by backing up and pulling in on the right. If I didn't hit a cone or jump the curb first, then I got three tries to get into the cones and get my wheels on this yellow line that was about 8 inches away from the curb. The first time, my back wheels touched the curb and I was scared I would jump it, so I asked if I could try again. The second time, I got in ok and I think my wheels were on the line (I'm not positive), but I thought the Russian guy had said that once I was in the cones, I had to pull forward once and reverse once, but it turns out that he'd actually said I couldn't adjust at all. Oops. Third and final try. Once again, I got in the cones ok. I looked around, looked up at Vlad to see what he thought...he was just standing there, staring at me, so I asked if I'd gotten it...he shook his head at me and told me to open my door. I was about 6 inches away from the line. I didn't even get on the road. I was completely devastated, but luckily I waited until he was far, far away and my dad and I were back in the car to start bawling my eyes out. So back to today. Since I've decided to avoid the Tempe MVD at all costs, my dad and I drove out to one in Mesa instead. Compared to how calm I was before the nightmare test last week, I was terrified this morning. But obviously, I passed! Yay!! 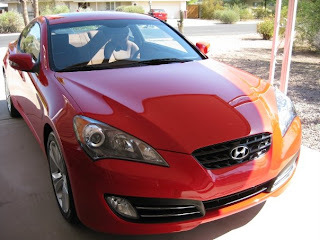 It was a piece of cake; I got the 3-point turn on the first try, and the worst thing the lady said to me was that I have to stay stopped at stop signs for at least four seconds before I can go. Um, no offense, but who does that? Especially here in Phoenix...you'd get run over. They just called to offer me a job. I'm going to be an Academic Counselor in the College of Education. I start training on August 31. My blog is a year old today. It turns out that blogging isn't as addicting as I thought it might become. And thankfully, my GPA did not suffer...yay! :D However, reading other blogs and keeping up with my friends through the wonderful world of blogging is a lot more addicting than I'd anticipated. I hope that doesn't make me sound like a creepy stalker...I just don't always have something as interesting to say as my fun and fabulous blogger friends. I no longer work for my brother and I'm pretty sure I'm no longer "on call" at Hallmark, since the last time I was asked to cover a shift was in January. But now I'm looking for a full-time job. 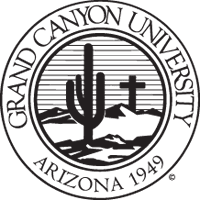 I've had several interviews, and the last one was a phone interview with a recruiter from Grand Canyon University; it went great, and I have an in-person interview scheduled for this week! We'll see what happens!! I am still Christian, and my faith is still the most important part of my life, but there is one big difference: a year ago, I was not a member of The Church of Jesus Christ of Latter-day Saints. Wow, crazy! I'm so thankful for the answers to prayer I've received, and the decisions I've made within the last year have helped me to grow closer to my Heavenly Father and my Savior each day. Since that first post, I have met lots of wonderful new people. My family and friends are absolutely amazing! They have each helped me to grow into the person I am today, and I am so grateful for their (and your, if you are reading this!) love and friendship. Now, onto another year of blogging!! Last Friday, Sarah and Lyndee hosted a girls' night filled with those things that bring out our girly side: chocolate, pink finger nails, facials, a chick flick, and a clothes swap! It was way super fun!! We watched Confessions of a Shopaholic...it was sooo cute!! I also liked it because the main character was named Rebecca! ha! Another fun thing is that I invited one of my real good girlfriends, Joan, and...she came!! She had a great time and loved everyone! And on the way home, I told her about my baptism (mostly how my family took it and how happy I've been) and about how I'm planning on serving a mission. It was so cool! And it was fun getting to hang out with her and catch up! And yuppers, I have decided to serve a mission!! Yayyyy!!! My family has warmed up to the idea a lot. It makes me incredibly happy to know that I have their support in this!! Now I need a job so that I can start saving up...it'll be good, though! :) I had an interview with Verizon last week, and it was going good...until I heard that I'd have to work Sundays. :( Sooo I'm still looking, and I have another interview scheduled for tonight. It'll all work out the way it's supposed to. ...got her mission call!!! YAYAYAYAY!!!! I logged onto Facebook on Thursday afternoon and almost immediately saw Madi's status update: "it came." Of course, everyone who knows Madison knew what that meant, so I texted her right away, asking if she'd opened it, and she texted back right away, saying that she had! I'm not gonna say where she's going, though, because that's her special news to share. But I was so happy and excited when I read where she was going, I had to call her! I was pretty much crying and laughing and crying, lol! And I had to give her a big hug at church this morning! Madison is one of the most amazing people I know. Sadly, it seems like we don't get to talk as much as we used to, but I am really going to miss her while she's gone (thank goodness for good ol' old-fashioned snail mail!). She has been such a huge example to me, and I hope every day that I can be more like her. 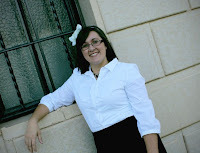 Her testimony, confidence, and zeal for life are inspiring, and she is going to be a super sister missionary!! I'm so thankful that Heavenly Father allowed our paths to cross again. I was checking my e-mail a little while ago, and the first message that caught my eye was the daily newsletter from LDS Living. I read the heading: "Order Men With a Mission and Save." ...umm, what? I didn't know you could buy a man, with or without a mission...I open the e-mail, trying to figure this out, and at the top of the message are the words, "Family Products." Wow, they even have family men!! Then, my eyes go down to the rest of the message. Turns out that Men With a Mission is a book. ...sooo, we're moving. And this time, it's for reals. We're looking at places in Scottsdale and Mesa. I'm hoping for Mesa, but it's looking like we'll end up staying in Scottsdale and going further north, closer to where Mom works. We'll see what happens!! Anywho, my favorite person is getting her mission call sometime this week...! Ahhh!! I am sooo excited for her! She is a huge example to me and to so many people. Wherever she goes, she will be a blessing to everyone around her. ...to make you into the person you are meant to be. So my last post was kind of a downer, huh? But yesterday didn't turn out so bad. :) I've decided that, whatever happens, happens; I'm not going to let it bother me, and I need to just move on. Yesterday afternoon was the best part, though! I got to see one of my friends, Mary Helen, from when I was going to St. Theresa's, and we hadn't seen each other in, like, two years. We went out to the Sugar Bowl, a very cute, very pink (lol) ice cream place in Old Town Scottsdale. We had sooo much catching up to do! Then, we drove over to her house, where she showed me pictures from her family vacation to Washington and her trip last summer to...AUSTRALIA!!! Yeah, lucky duck!! She went there with some other teens for World Youth Day...from what I understand, it's kinda like a really long General Conference for Catholic youth. It was way fun getting to hear all about her travels and what she's been up to! I'm really looking forward to tomorrow, because I am going up to Prescott to spend a few days with my grandparents! Yayay for family!! It'll be great to get to see them again, and it'll be nice to relax in some cooler weather, haha! Should be fun!! It seems like August 5 is my own personal Friday the 13th. Every year, something wacky-crazy-unexpected-painful-tearful-yougettheidea happens on the same day...August 5. The calendar tells me that today isn't August 5, but it feels like it should be. And the day's hardly just begun. So I just finished reading a super amazing book. It's called The Holy Secret. The book follows Michael and the conversations he has with a widower in his ward, Albert. 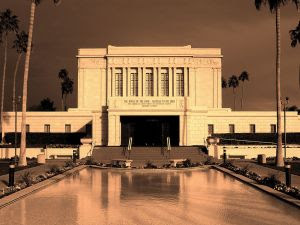 Michael--and the reader--learns from Al what it's really like to love the scriptures, the Sabbath day, and the temple, and in the process, he also learns some important lessons about repentance, forgiveness, and loving and serving others. "Mom, I think I wanna go on a mission." Yup, this conversation didn't go quite as smoothly as I'd hoped...especially when she pulled the "I've-been-supportive-with-everything-else-but-this-is-going-too-far" line. :( Ouch. There, now that I've vented a bit, we're gonna end on a positive note. I went to 5th Ward for the first time since, like, Easter. And it was seriously the best Sunday I've had in forever!!! All of the meetings were super amazing, and I felt so close to my Heavenly Father all day. But I was so exhausted by the time the day was through...I slept like a rock that night, lol. The last few days have been sooo different, when I look back on the last two months. I'd been feeling so alone and afraid, and I hadn't felt that same happiness I'd felt over the previous months. I thought something was wrong with me. But since Sunday, I feel so excited and happy!! I feel like Sunday was a new beginning for me, and I've re-committed myself...to be excited about the Church all the time, like Mo; to be sincerely happy and loving, no matter what, like Abby and Lyndee; to be missionary-minded and know the temple, like Madison; to be not just a visiting teacher, but a true friend, like Brianna. The temple goal is a little hard to accomplish right now...I haven't even been since April, when we stopped in St. George on the way up to Conference. I really miss it. But once I have my license, I plan on going at least once a week. And, as promised...if you want to see all of my family's photos from our vacation, go here and here. Wowowowow!!! May 24 through June 3 were seriously the best days ever!! To celebrate our graduations, my family decided to reward ourselves with an Alaskan cruise! My 20th birthday was also on June 2, so we tied that into our little celebration, as well! We drove to San Francisco all day Saturday, the 23. Boy, that was a loooonnng drive. But I loved every second of it! I loved looking out the window and seeing something different, and I think I almost have the Pride and Prejudice and the Becoming Jane soundtracks memorized, haha. We stayed the night in Oakland, and the next day, we drove up to my new favorite temple. I didn't think I'd like the Oakland Temple so much (I'd always thought it looked kinda weird in the pictures, lol), but it was so beautiful in-person!! It's right on the side of a hill and it overlooks the city. I didn't get to go inside, as it was Sunday, but we walked around the grounds and took a few pictures. Then, we drove down into San Francisco and got on the boat around 1!! I wish I could give all the details about every day we spent on the ship, but I don't know if you'd really enjoy that too much, lol. So...I'll just do a quick rundown on some of the highlights of our trip. And the same whale came up about 5 feet away from our boat!! Coolest thing ever!! When we pulled into port in Skagway, we rented a car and drove up to Whitehorse, Canada. The drive up was breathtaking. It was like another planet!! We saw two bears, one black and one brown. And it started snowing on the way back down! Yuppers, snow in May...it looked just like a Christmas card! And we can't forget the ship...the Sea Princess!! The food was amazing...you definitely couldn't say you were hungry while on the boat, lol. There was a 24-hour buffet, which was both a blessing and a curse. I loved the waitress we had at dinner; she was from Romania, and she always called my family her "sweeties" and she called me her "little angel!" Aww!! I'm going to miss her. :( Chris and I also enjoyed watching movies in the Princess Theatre, and they also showed "Movies Under the Stars" on the deck, but it was way too cold and windy for us "Arizonans," lol. Kind of a funny story...every night, we'd get the "Princess Patter" delivered to our staterooms, describing the next day's activities. On Saturday night, I was looking at the Sunday morning activities, because I'd heard they'd be having an interdenominational church service and was planning on going. I found that one, and then looked at the 9am activity: Church of Jesus Christ of Latter-day Saints Service!! Yuppers, they had a Sacrament Meeting on the boat! It's funny, though, because it was held in one of the bars on the ship, lol. So now I can say that I've had the sacrament in a bar, lol! I hadn't been to church in over a month, so it was great being able to take the sacrament again. Another story...we ran into a psychic!! We were in the elevator headed to the buffet for lunch, and a couple was going to the same deck as us. We were having small talk in the elevator, but when we got out, the lady stopped our family and told my parents that "your children love you very much and you have done a wonderful job with them." My parents thanked her and got in line for the buffet. I'd started walking with them, when she touched me on the arm and said something along these lines: "You are very musically talented, and you shouldn't give it up. It is your gift, and you bring joy to those around you when you share that gift. And what you've been thinking about the piano...go for it." How could she have known about my music?!? I'm definitely not as musical as I used to be, so I hadn't told anyone on the ship that I could play anything. And how did she know about the piano?! I'd been thinking about starting lessons again...dodododododododo it's the Twilight Zone. lol! Anywho, we celebrated my birthday at sea! I woke up that morning and when I opened the door to go down to breakfast, I found three "Happy Birthday" balloons--purple, pink, and red!--taped on my door! Then, at dinner, I was sung to by our waitress and her assistants and got a special birthday cake, with a pink candle! And then, as it was the final night of the cruise, they had Baked Alaska for dessert!! The waiters all paraded around the room with them, and they played "Feeling Hot Hot Hot!" It was the coolest thing ever!! So that is basically our trip in a nutshell! I will post some pictures soon! We got off the boat on the 3rd, spent the night in L.A., then drove back home yesterday. I'm so sad it's over...we had the best time!!! But Chris and I are already planning on doing another cruise next summer, possibly to the Caribbean!! So you wanna be a [fill in the blank]?? This morning, my family drove up to Flagstaff, so that my dad could walk in his graduation from NAU. He got a Master's in Career and Technical Education. I'm sososo proud of him!! He's been dreaming about getting his Master's for years and years and years, and he was finally able to get it in one year, while still working full-time. He's worked harder than anyone else I know for this, and now it's time to celebrate!! Chris and I have a few more finals left, but we're wrapping things up and getting ready for Wednesday. Honestly, though, we're more excited for our convocation on Saturday. 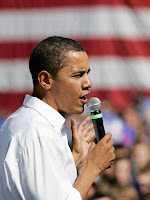 No offense to y'all Obama-lovers, but we wish he wasn't speaking at our commencement. It was pretty exciting when we first heard about it, but now our graduation has just turned into a huge hassle. Chris and I have to get to the stadium by 3pm...the ceremony doesn't start till 7pm. Our parents' tickets say they have to be there at 3:30. When they first saw that, they were thinking about avoiding all of that by just going to our convocation, but they're going to get there at about 6 instead and hope that they'll still be let in. I'm hoping and praying they can get in...it wouldn't feel right without them there, because Chris and I wouldn't be there in the first place if it wasn't for them. Anywho, now that I've vented about that, haha...two weeks from today, we'll be on the road to San Francisco, and two weeks from tomorrow, we'll be leaving on a big boat, on the way to Alaska. Yuppers, our graduation present to ourselves is a 10-day Alaskan cruise! We're super excited...this will be our first vacation in years!! And the best part (for me, at least)...we'll be on the boat on my birthday!!! Woohoo, I never imagined that I would be celebrating two decades of life while on a cruise ship, haha! That's how long I have left before I graduate. I've been feeling a flood of emotions as the date looms closer. It's mostly been a battle between excitement and fear. I am currently at one of those times in life when I'm closing the door on one chapter and opening another. Of course, this brings to mind the big "c" word--change. It's definitely exciting to think about trying new things and getting out of my comfort zone a little more, but it's also pretty scary. I'll be 20 in about a month, but I'm going to be done with school in two weeks...I don't feel ready to be done. I feel like I should still have two more years to figure things out. Lately, I've been wishing that I could have gone to high school and gone through the same experiences that all of my friends have gone through. I haven't wished that in years. It's frustrating, because I thought I had accepted Heavenly Father's plan for me...I don't want to be bitter and fill my life with regrets and "if onlys." 1. I'll be done!! Yay!!! haha, I am really happy about it, I promise I'm not all doom and gloom! And I'm excited that I get to share my graduation with my best friend and my brother, Chris. And our dad is getting his Master's from NAU this Saturday, woohoo!! 3. The possibility of a roommate. Since I won't be going to ASU, I may have to switch to another ward. *tear* But I'm thinking of trying to find a roommate in the 5th Ward boundaries sometime in the fall semester. So if I do have to say goodbye to my wonderful ward family, it'll probably only be for the summer. And we can still keep in touch until then! 4. A mission...? This is still way, way, way up in the air, mostly due to timing. Because I'd be done with school, I wouldn't have to worry about making the transition back into study mode. I've talked about the possibility a bit with my parents, and they think if I do go, that I shouldn't leave when I'm 21, but that I should stick with my job for awhile (if I find one I like) so that I'll have something for when I come back home. 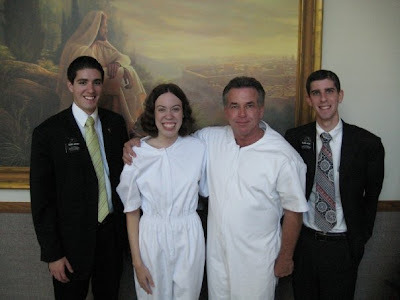 But I have been seriously considering a mission since pretty much right after I was baptized. I'm so grateful for missionary work, because I know without it, I wouldn't be who I am today...I really want to give something back and help others find the same joy I have found. So there you go. A sneak peek at the workings of Rebecca's brain, lol. The national animal is the kiwi. My family is talking about moving again. This time, it's New Zealand. Yeah... They're looking at moving sometime around next March...Mom and Dad first, then Chris (and I??) a bit later. When I got home from church on Sunday, I found out that Dad had already been doing some research for me..."Look, there's Mormons there! You wouldn't be the only one!" haha. Honestly, I don't know what to do...I don't know if I could leave everyone I love and everything I know behind, but my family is the most important thing to me, right up there next to the Church. I don't know...I'm definitely gonna be praying about this one a lot...alotalotalot. Last weekend, I had the amazing opportunity to go on a Mormon pilgrimage with some girlfriends to see General Conference in Salt Lake City! Jenny, Brianna, Candice, and I began our journey early Friday morning. 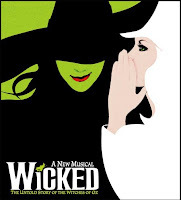 We had a blast singing along to Wicked and Anastasia. On the way up to Provo, we stopped at the St. George Temple, which was absolutely beautiful, to do baptisms! After that, we were on the road again. 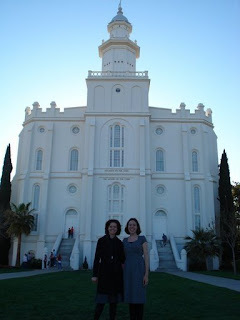 We dropped Candice off at her mom's in Provo, drove by some of the highlights (the Provo Temple, BYU, and the MTC), and then headed to Springville, where we'd be staying with Jenny's mom, who was an absolute sweetheart! Candice decided to stay at home and watch Conference with her family, so Jenny, Brianna, and I got up early Saturday morning and drove out to Salt Lake City. 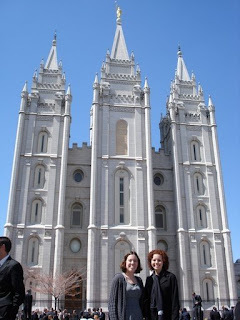 We were planning on just trying to make it into the afternoon session; Jenny said she'd stand in line while Brianna and I explored Temple Square. But when we got there, we decided to make up a sign, saying we needed 3 tickets. As we were walking through the crowd, we passed a group of people and overheard that they had some extra tickets!! They only had two for the Saturday morning session, but Jenny told Brianna and I to take them, as we'd never been to Conference. Brianna and I were ecstatic!! As we were heading back to the Conference Center, though, we realized that the tickets were in different sections...lol. But we made it in, haha! 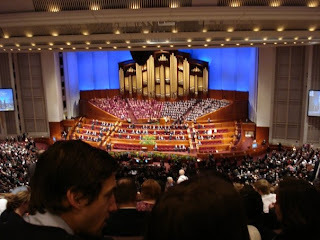 It was so amazing being inside the Conference Center; when I walked in and saw the organ for the first time, I got this really silly grin on my face, haha. I couldn't believe I was actually there! And then when the prophet walked in...ahh, so exciting!! This was also the session when they announced the new Apostle: Elder Andersen!! I almost squealed when I heard who they had called, not only because I could put the name and the face together, but his talk in the last Conference had a big impact on my decision to be baptized! After the morning session, I met up with Brianna and Jenny again (thank goodness for cell phones!! ), and we stood in stand-by for the afternoon session. We were right near the front of the line, but we still had to stand in line for almost two hours. It was sooo cold!! We ended up putting blankets on our feet, haha! They let us in about five minutes before the session started, so we missed the first couple of minutes. We drove up one more time to SLC on Sunday morning. The sky had cleared up, the sun was out, and it was sweater weather, yay! Candice's mom had 3 tickets for the Sunday morning session, and she was so sweet and gave them to us!! This session was my favorite; each talk that was given has inspired me to "get off the sidelines" and strive to become a true disciple of Christ. 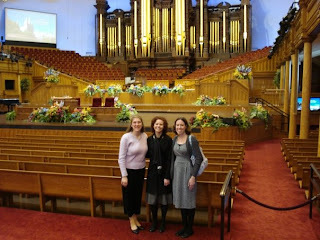 Afterwards, we explored Temple Square a little bit and got some pictures. The Salt Lake Temple is amazing!! As I was looking up at it, I couldn't stop thinking of the early Saints and their incredible faith. We picked up Candice at her grandparents' home in Bountiful and then started the journey back home, while listening to the afternoon session of Conference on the radio. I've labeled this session the "TT"--Temple Talks, haha. 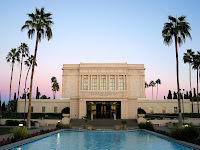 I haven't been able to go to the temple as much as I would like to, but I'm hoping to start going at least once a week, once I get my driver's license (soon, haha!). 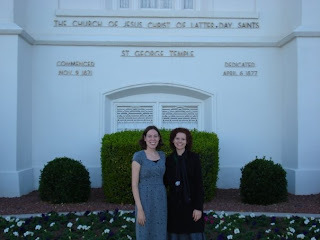 We stopped in St. George one more time, to get some photos of the temple. And then we were home!! What a wonderful, edifying, testimony-building weekend!! He's speaking at my commencement. So it turns out that my family won't be moving in a few weeks, after all. Which is a huge blessing for my family, because of four little words: We don't have to. My parents wanted us to keep the details as to why we had suddenly decided to move on the down low, but as everything has gotten worked out, it's now safe to share. Right after the new semester was getting into full swing, we got a letter in the mail, informing us that our home was going into foreclosure. It turns out that our landlord had not been making the house payments for months, and our home was scheduled to be auctioned off sometime in April. However, the good news is that our landlord is able to keep the house!!! I don't know all the details about what he did to make the Big People change their mind, but we don't have to get out of our home!!! While moving into a new house can definitely be fun and exciting, reading that letter, spending hours browsing rental houses on the Internet, and scouting out the big white signs while driving through countless neighborhoods has made me realize how much I love our home. It certainly is no mansion, but what it lacks in splendor, it makes up for in family, love, and friendship. Oh boy, I really need to do a better job at posting on this thing, don't I? I guess there hasn't really been anything too exciting to write about...sorry! I've been keeping busy with school and church stuff, and spring break is only a week away, yay!!! I'm going to my favorite place to do baptisms tonight with some girlfriends, yay! When I told my mom what I was planning on doing, I got to share with her a little bit about the Plan of Salvation...hooray, missionary moments! I don't know how well I explained it to her, but I tried, haha. I wish I was more articulate when expressing my beliefs. Hopefully practice and lots of prayer will help with that. Faith is the anticipation that whatever the outcome, it will be for our good. I love all of my classes, I love my friends, I love institute. I have a feeling this is going to be an amazingly wonderful semester. Two more days...two more days, and then I'll be happily clicking the "Submit" button and sending off the final paper for my winter class. To be honest, though, I'm really looking forward to the new semester. I'm interested in all of my classes, and I'm especially excited for ENG 356! I've been waiting to take it since my first semester at ASU, and it fits perfectly with both of my concentration areas. And then, there's institute!! :) I'll be taking Latter-day Hymns, Book of Mormon, and World Religions. I've been called to serve on the Student Council, yay, so I'll also be taking Principles of Leadership. So excited!! Anywho, I have to get back to work...two more days, two more days (that's my mantra right now, haha). Love y'all! !